Oxides are mineral compounds combining a metal with oxygen or a metal combining with oxygen and hydrogen. This is a large group of minerals that occur in most geological environments and rock types. They span a wide range of characteristics from common metal ores to precious gems. Hematite,pictured at the right is an iron ore that belongs to this class of minerals as is cassiterite a tin ore.
At the other end of the spectrum are the corundums. 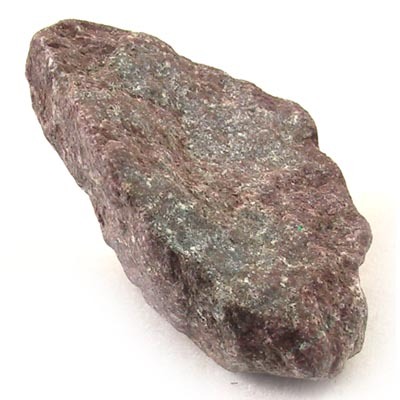 Corundum is one of the hardest minerals and produces both rubies and sapphires. 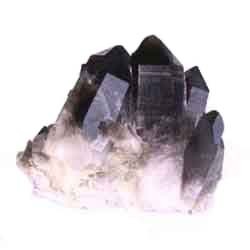 The mineral pictured below is corundum. 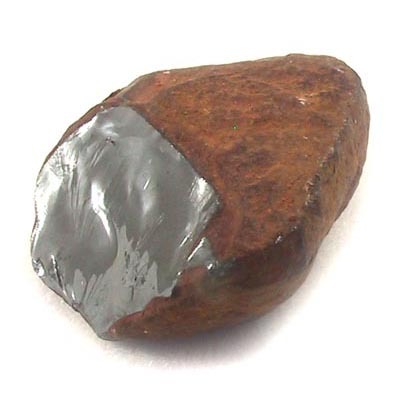 Rutile is an oxide that is used to produce titanium. It is both stronger and lighter than steel. Because of this it is used to make missiles and aircraft. silicon dioxide this is one of the most abundant minerals on earth. The quartz family includes quartz, amethyst, rose quartz, citrine, aventurine, smoky quartz, and all of the agates to name a few.